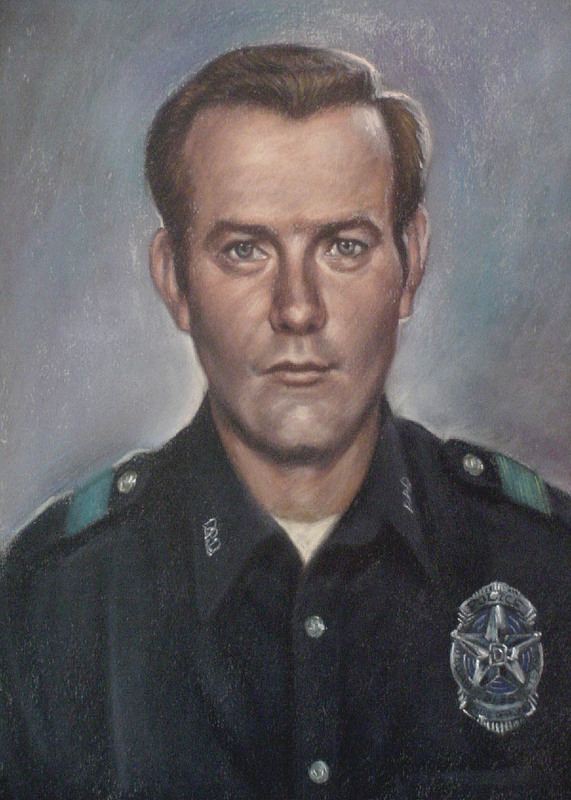 Officer Johnnie Hartwell was shot and killed after he and his training officer observed a truck strike a utility pole. Believing the men were intoxicated, the officers asked the men to exit the vehicle. Unbeknownst to them, two of the men had just robbed the third man and planned to kill him. The two suspects opened fire on the officers, fatally wounding Officer Hartwell and wounding his training officer. Both officers returned fire, wounding the suspects. The men were subsequently sentenced to 999 years in prison. Officer Hartwell had been with the agency for three months and was survived by his wife and children. Many thanks to the men and women who put their lives on the line to protect and serve and those who made the ultimate sacrifice.. Thank You. We owe you a debt of gratitude that we can never repay. Thank You for your service. J.T Hartwell was my wifes father. She had hust turned 8 when he was gunned down. She has however spent her life giving back to others. Many thanks to the state of Texas for the scholarship that permitted her to graduate as an Rn and work in the Newborn Intensive Care unit for the past 30+ years.